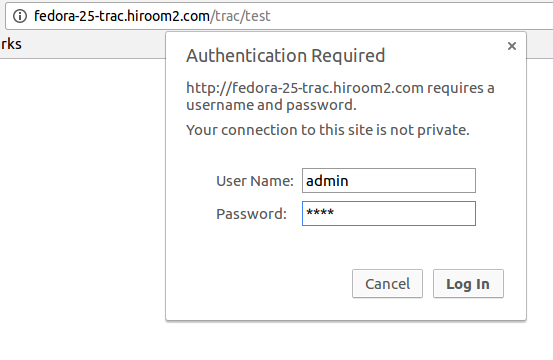 This article will describe installing Trac which manages user with digest authentication. Run the following command just once. Create project root directory which has project directories. Run the following command for each project. Create user. Run htdigest command without -c option. Create Apache2 conf for project. Enable conf and restart Apache2. The dialog of digest authentication is displayed. 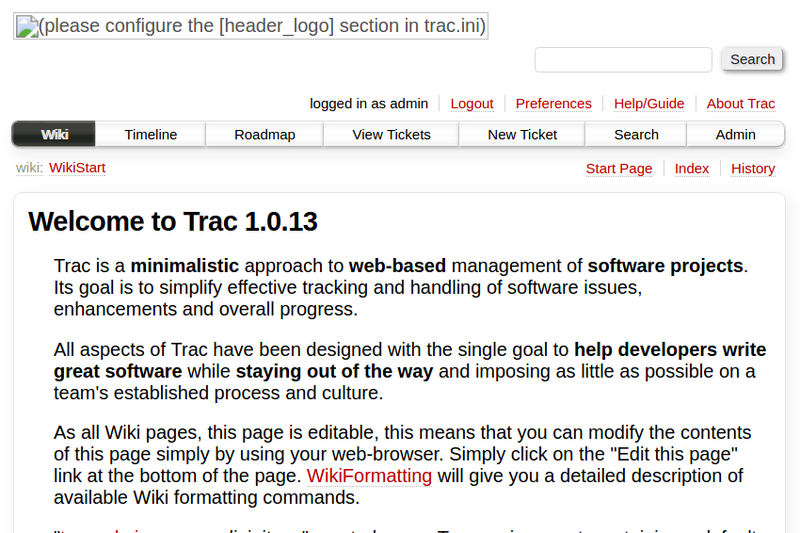 The following script will install Trac automatically. expect "Re-type new password: "